Want to get some cute new ink but don’t know where to start? 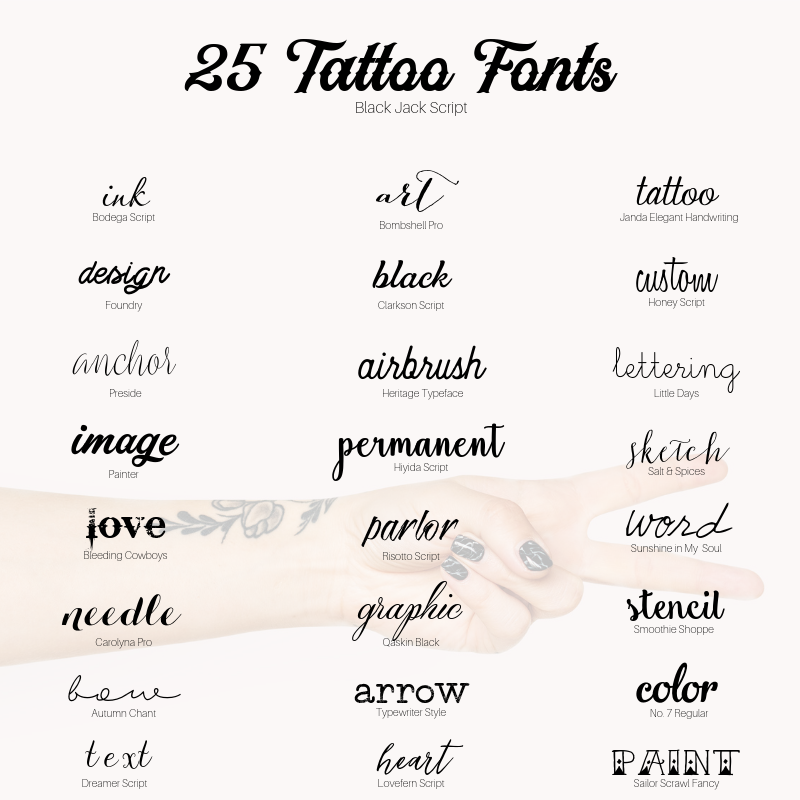 I found 25 fonts that are perfect for that next tattoo. From inspirational quotes, to Bible verses, initials, and names, these fonts are stylish and totally pretty enough to make permanent. Even if you decided to go the sharpie tattoo route, printing out your words in one of these fonts will make the ink seem for real. Ink that’s forever deserves its perfect font pick. Whether you are feeling artsy (I’d try Salt & Spices), serious (Bleeding Cowboys), or whimsical (Try Bombshell Pro) – whatever mood you might be in, find your font through one of these links here. Creative fonts that are a little crazy and lots of fun! PS. The cutest tattoo ever! an excellent compilation. Thank you for your work!